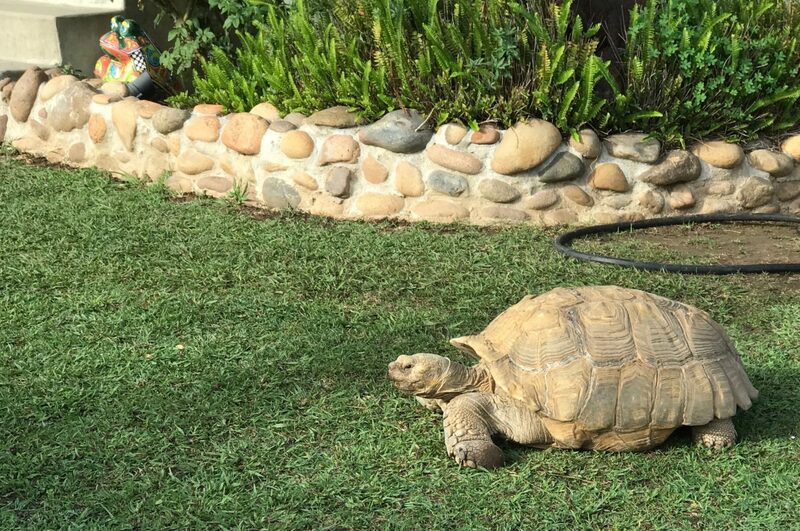 This isn’t the first time featuring the neighborhood tortoise—but I have more information about her now. Let me start by calling bogus fairytale “Tortoise and the Hare“. The reptile moves with surprising speed and enthusiasm. I’m not so sure the rabbit would win in a contest. 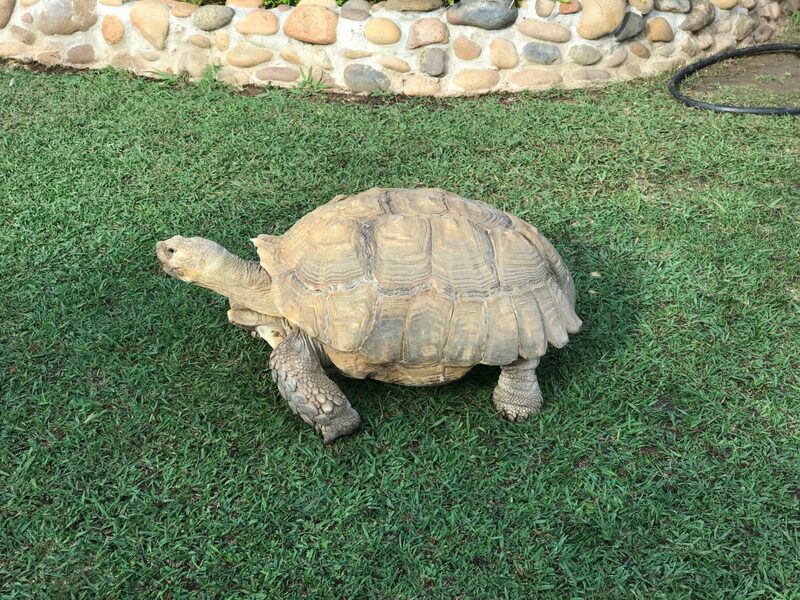 Today I met the two house-sitters responsible for the tortoise, whom they call Morla. Supposedly she is female and about 25 years old—a youngster, which might explain her energy and enthusiasm. One-hundred-fifty years is not an unusual lifespan for this member of the Testudinidae family. The creature is social, too, and who would have guessed that? I’ve seen her munching the lawn on many occasions. Her caretakers often feed Morla lettuce, and I watched her chomp down a large carrot this morning. She lives in a little wooden shed/house at the back of the driveway. The home is bit of a pet menagerie, with two small dogs and two cats. One of the felines is black, whom I see occasionally in the front yard. The other is 19 years old and stays indoors or out back. I captured both photos using iPhone 7 Plus at 9:26-27 a.m. PDT using the 2X zoom, which really means shooting with the second camera. The Featured Image is straight from the device, while the other is cropped. Vitals: f/2.8, ISO 20, 1/186 sec, 6.6mm—for the first. The other is same except for shutter speed; 1/239 sec.